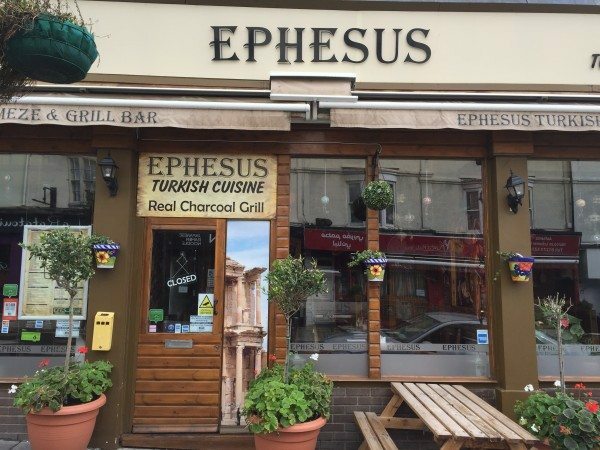 For an authentic taste of Turkish cuisine look no further than Ephesus Brighton on Preston Street. Using only the freshest ingredients, the experienced team cook every dish to order following time honoured recipes and methods. The friendly and welcoming team always greet you with a smile in their newly refurbished 60 seater restaurant. Open seven days a week with a full lunch and dinner menu, Ephesus, is ideal for every occasion. They also offer a take away service for those in a bit more of a hurry. Whether you are after a light lunch, quick bite to eat or a full evening meal the menu at Ephesus has got something for you. With an extensive selection of traditional Turkish dishes available, all freshly cooked to order, come take a seat and be transported to another land. With classics such as Baba Ganoush, Falafel and Kofte to start and of course a plethora of grilled kebabs and specials you will not be disappointed. With sharing platters, set menu’s and vegetarian options there is something for everyone at Ephesus. Ephesus takes its name from an ancient Greek city, situated in modern day Turkey, which was famous for its temple dedicated to Artemis; goddess of the hunt, forests, hills, the moon and archery. Her Roman equivalent is Diana, and the temple at Ephesus was one of the Seven Wonders of the World and visited by Saint Paul during his missions. Great Turkish Restaurant. Best BBQ in Brighton.